You worry about your soul — I’ll worry about mine. Excellent advice. Mom had a way of speaking that cut to the chase. My mom was having none of that. She also didn’t need church to do the right thing. She was kind and generous and, in my opinion, followed the example of the Gospel without making airs about it. When it comes to religion, few people want to be pushed into attending “mandatory” practices. Indeed, I’ve always liked Christ’s teachings on praying to God in private, rather than standing on a street corner and shouting your beliefs to the masses. Speaking of which, I once witnessed a man doing exactly that in Oxford, England, shouting on the street, proclaiming the good news. When someone complained, he cited a Biblical passage that enjoined him to proclaim his faith in a loud voice so that others might follow in his footsteps. That’s a problem with the Bible: So many passages, so many messages, so many interpretations. Still, I persist in believing in my mother’s aphorism: Focus on the health of your own soul and its relationship to whatever higher power or higher ideals you believe in. Don’t focus on the souls and the beliefs and practices of others. Disturbing, upsetting, baffling: these words often apply when young troops face religious pressure or discrimination for the first time. And it disturbs, upsets, and baffles me that a nation founded on religious freedom produces people that want to abridge or eliminate that freedom in the (false) name of following Christ. It also disturbs, upsets, and baffles me that a military that is supposed to defend our Constitutional freedoms, to include freedom of religion, occasionally works in ways that undermine that very freedom. I was born and raised within the Catholic church, but I would never push my religious beliefs on someone else. Certainly not in a military context, in which supervisory authority is nearly absolute. I believe there is a place for God (or gods, or no god) in the military, and a place for chaplains. Troops should be able to worship freely in the military, as is their right as American citizens. But there’s no place for proselytizing, pressure, “mandatory” Bible studies, and all the rest of that. I remember how much Colorado Springs and the Air Force Academy changed between my first tour there (1990-92) and my second (1998-2002). Lots of evangelical organizations (like Focus on the Family) built headquarters just to the east of the AF Academy. I started to see that evangelical influence permeate the Academy. I suppose I was lucky I left in 2002, just before the scandals involving religious discrimination broke. The military attracts many young people looking for certitude as well as a mission, a calling. Some of these young people come to espouse a narrow form of “Christianity,” one that sees itself as uniquely American and uniquely suited to a military context. Yet how can troops take an oath to support and defend the Constitution, which enshrines freedom of religion, and then work to curtail or offend the religious freedoms of others? Here’s what people need to remember about military settings: the authority of your direct supervisor is nearly absolute. If your drill sergeant, your platoon commander, your company commander, makes it obvious that he or she favors Christianity, it puts enormous pressure on subordinates to conform, or at least to fake it. If your boss in a civilian setting is an assertive Christian evangelist, at least you have the option of quitting (however painful that might prove). There is no option in the military of “quitting” your platoon, your company, your unit. Furthermore, in a war zone, refusing to conform to an evangelical zealot as a leader could literally become a matter of life and death. Hey, Private Jones, you’re an atheist: go ahead and walk point again, i.e. take the lead as the unit walks through dangerous enemy territory infested with IEDs and snipers. Maybe that’ll give you some faith in God. Ha ha. Again, the U.S. military must remember its purpose: to support and defend the Constitution. In fulfilling that purpose, there is simply no place for evangelism of any religion, Christian or otherwise. Note: Since 2005, the Military Religious Freedom Foundation (MRFF) has fought to ensure religious freedom within military settings. The foundation represents nearly 45,000 service members, 96% of whom identify as Christian. Find out more about the MRFF at http://www.militaryreligiousfreedom.org. Are Troops Being Evangelized Instead of Being Treated for PTSD? I wrote the following article for Huffington Post back in August of 2010. Good Friday seems an appropriate day to revive it. Our country was founded on the idea of religious freedom, and several of our nation’s founders were deists (Thomas Jefferson) or skeptical to the point of atheism (Thomas Paine). Religious plurality and diversity characterized America from our earliest days, and so too was that true of our citizen-military. Private religious belief should remain that: private. Evangelism in military settings is inappropriate. It is especially insidious when practiced by supervisors. Militaries are rigidly stratified, and certain positions (drill sergeants, first sergeants, commanders, and so on) carry with them great authority. It is totally inappropriate for NCOs and officers in supervisory positions to promote religion in any way, especially among their subordinates. That said, you cannot banish religion from the military since our military will always be a reflection of American society. In national polls, Americans routinely say they believe in God, with the percentage affirming this belief exceeding 90%. Our military today is more rural than urban, more small town than big city, more Southern and Midwestern than Coastal. In short, our military recruits from areas of the country that are often powerfully infused with evangelical Christian beliefs. Such beliefs are not going to disappear when troops don their uniforms. God and country are united in the minds of many of our troops. And a person’s mind is his or her own private affair. What we must guard against is the intrusion of religion in policy areas and public arenas where it doesn’t belong. The article below highlights one such case. Yesterday [8/9/2010], the Military Religious Freedom Foundation (MRFF) and Veterans for Common Sense sent a startling letter to Secretary of Defense Robert Gates. It alleged that the military has sent some psychological casualties to chaplains for counseling, rather than to mental health care professionals for diagnosis and treatment. In a few cases, the letter alleges, chaplains sought to provide comfort through evangelism. In essence, it seems wounded and disturbed troops were encouraged to put their trust in Jesus: that He would provide for them if only they accepted Him. General George S. Patton Jr. was fired during World War II for slapping soldiers with PTSD. Assuming the MRFF letter is correct, are we prepared to fire chaplains for seeking to alleviate PTSD and other disorders with a healthy dose of scripture and heartfelt appeals to Jesus? I would advise against this. I can well imagine that a few chaplains, perhaps of an evangelical bent, in their zeal to provide help, may have conflated their own personal conversion experiences and the resultant comfort they gained from them with the kind of professional care and treatment provided by mental health care experts. If one’s own doubts and problems were resolved through heartfelt conversion, it’s quite possible one would believe that evangelism in the name of Jesus could cure all ills — a belief they may then have tried to transfer to hurting, even desperate, troops. Such misguided ministering, if it exists, must stop. But at the same time let’s not forget that chaplains are invaluable as counselors. The equivalent at times to a “big brother” or “big sister,” they are both part of a unit but also in a (moral) sense stand above it and the entire military system. It’s a demanding job — indeed, it’s more than a job, it’s a calling — and the vast majority of chaplains perform it well. Chaplains, of course, are not mental health care providers. Psychological trauma and other serious mental health issues clearly go beyond their abilities and training to treat and meliorate. The letter from the MRFF and Veterans for Common Sense reminds us of this fact, as well as of the burdens of war on our troops and of the dire shortages of qualified mental health care. It’s the latter that requires the lion’s share of our attention and resources. 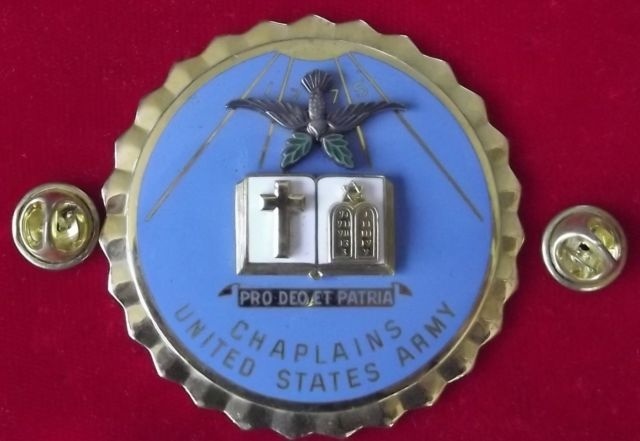 That said, allow me a moment to praise military chaplains. The several I’ve known have been dedicated, decent, godly souls as well as good troops. They share in the burdens of their units even as they provide selfless counsel, spiritual or otherwise. One older chaplain I knew eagerly went through jump training prior to joining the 101st Airborne. If he was going to serve alongside airborne troops, he wanted to know what jumping out of airplanes was like. National prayer breakfasts I’ve attended, run by military chaplains of multiple faiths, were always open to troops of any faith (or no faith at all). There were no distinctions between Protestants or Catholics, or for that matter between Muslims or Jews. As celebrations of non-denominational and undifferentiated spirituality, they were irenic, life-affirming, even moving. Let’s be careful, then, not to let instances of Christian evangelism in the ranks distract us from a healthy exercise of spirituality and religious feeling. Let’s applaud our military chaplains even as we recognize that they too have limitations. But most of all, let’s be sure to get our troops the professional mental health care they both need and deserve. The other day my wife and I were watching Wadjda, a terrific film about a spirited Saudi girl who dreams of buying and riding her very own bicycle. The film does a great job of highlighting the constraints put on women in traditional Saudi and Islamic culture. Women are not allowed to drive, they must veil themselves whenever they can be seen by men, they are trained to be subservient and not to attract attention to themselves, and so on. Religion – written by men, for men. And that’s all you need to know. Having been raised Catholic, it’s hard to disagree with her. The Catholic Church has historically been misogynist. 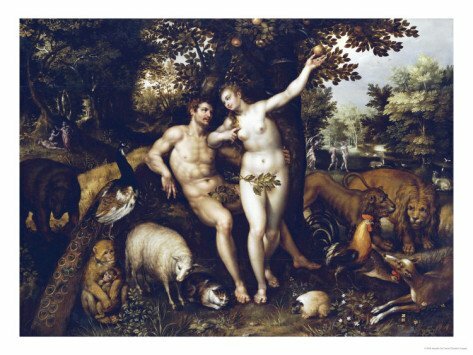 It was Eve, after all, who tempted Adam. She was “the weaker vessel” who was cursed with the pain of childbirth because of her “original sin.” The Church itself, to state the obvious, is run entirely by men. Even the woman most respected by the Church, the Virgin Mary, is an unattainable ideal. A woman who gets pregnant without losing her virtue and virginity? Try aspiring to that. Whenever a religion, no matter if it’s Islam or Catholicism or some other faith or sect, places half of humanity in inferior and subservient roles, we must question very closely its true intent and inspiration. Surely a just and compassionate God would not sanction a religion that subordinates women to the whims of men. Obviously, I know many believers, women as well as men, will disagree with this. They will point to their faith, their holy books, the power of tradition. Or they will try to explain how their religion really doesn’t discriminate against women and so on. How true. And I’d add that any religion worth living for is one that treats men and women equally as believers. I don’t think God, if He or She (!) exists, would want it any other way. 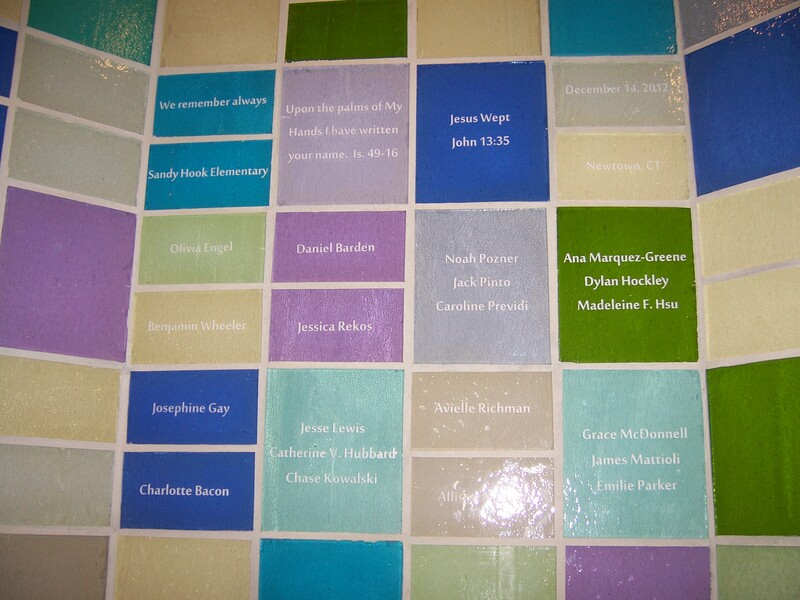 Memorial to the innocents killed at Sandy Hook elementary. Photo by author. My wife and I recently visited the National Shrine of The Divine Mercy in Stockbridge, Mass. At the shrine, there’s a simple, moving, memorial to the Sandy Hook children (see photo above). Rarely has the Biblical phrase, “Jesus wept,” been sadder or more appropriate. And the people said, See how much He loved them. Message? I don’t know. But I think these children are martyrs to a society that’s saturated in violence. A society that claims to put its trust in God, even as it resolutely ignores His teachings. Jesus said: Suffer the children to come unto me. Of these are the kingdom of heaven. Somehow we have to do a better job of protecting our children from humanity’s all-too-violent tendencies. The agony of more lost innocents is too much to bear.